“I stay very close to those things that are important to me.” This statement was the first answer to the first question I asked Pat Williams back on our first interview in 2017. I knew this interview was not going to be like any of the hundreds of others I have done. I was going to learn something significant. Pat spoke in a very intentional way. He took short pauses between thoughts as if he was sifting through a pile of wisdom to find the right nugget of information to pass on. I would often sit waiting on the next word, wondering if I should jump into the conversation. Thankfully, I learned to pause myself in those moments as I tried to soak in the incredible information of life and wisdom from a man who had experienced and learned a lot in his life. Rarely does someone get to see behind the curtain of a person that has lived a successful life. Social media has maybe allowed us to feel closer and more familiar with people, but does not always lead to the type of vantage point that reveals the truth about how a person became who we see on television or follow on social media. Even more rare than getting a glimpse behind the curtain of a successful life is to look and find a life that is being lived for Christ. At the top of his list of things important to him that he stays close to – faith and family. The two pillars of Pat’s life seem to be the foundation that allows so many other activities and achievements to stand firm and visible alongside them. “It’s amazing what you can accomplish in sixteen hours a day,” Pat told me as he continued to shine a light for me into the intentionality of his life. 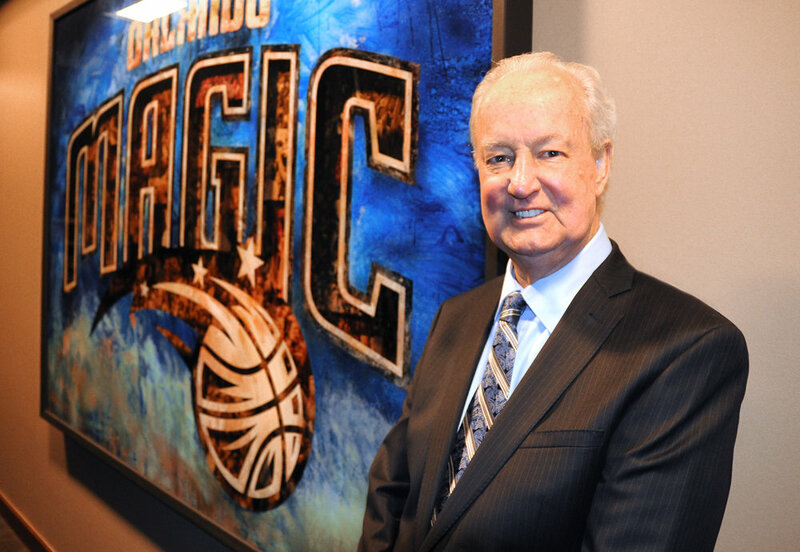 In addition to his family and faith, Pat spends his sixteen hours focusing on many things including his personal fitness, speaking engagements, book reading (and writing) and of course his involvement with the Orlando Magic. Many of us can probably think back to times where we have been inefficient with time in our lives. I personal believe one of the greatest measurements of a wise man is his ability to steward what God has given him. Stewardship isn’t limited to the careful consideration of how to handle our physical possessions but also intangible resources like time. Pat has learned the value of stewarding time in a way many other people haven’t. In his life, Pat’s foundation of faith, family and a focus on time has allowed him to author more than 100 books, run in nearly 60 marathons, manage several professional sports teams, defeat cancer and raise nineteen children. Many would feel satisfied devoting their time to accomplishing just one task on that list. What does God have for you to do? How could your time be more focused? Can you imagine what God could accomplish through you when your time becomes opportunity instead of wasted? What will you do with your sixteen hours today?